Middle Eastern and black drivers — particularly young men — were far more likely to be stopped by Ottawa police than other drivers, according to a report analyzing two years of traffic stops. A York University research team examined 81,902 traffic stops involving Ottawa residents from 2013 to 2015 where officers recorded their perception of the driver's race, as well as their gender, age range, the reason for the stop and whether the stop resulted in charges. The researchers found that police stopped drivers perceived to be Middle Eastern 10,066 times, or 12.3 per cent of the total stops. However, these drivers represent less than four percent of the total driving population in Ottawa, meaning Middle Eastern drivers were stopped about 3.3 times more than what you would expect based on the population. Similarly, drivers police identified as black were stopped 7,238 times, or 8.8 per cent of the time. This was about 2.3 times more than you would expect based on the population in Ottawa. The disparities were more pronounced when looking just at young men. Middle Eastern men between the ages of 16 to 24 were 12 times more likely to be stopped, and young black men were 8.3 times more likely to be stopped. Young men police identified as white were stopped 1.7 times more than their population would suggest. Officers reported perceiving the race of the driver prior to the decision to pull over the vehicle in 11.4 per cent of the stops. But researcher Lesley Jacobs said whether the officer could identity the race of driver before pulling them over was not that important to how the data was treated. Researchers Lorne Foster and Jacobs stressed the data is not necessarily indicative of causation, and it doesn't prove racial profiling. "We've always conceived it as being a big picture study," said Foster. "If you think of it in terms of a medical metaphor, what we've done is really have an ultrasound of the city, and you see that there might be potential problems," he said. "If you go to the doctor and you get an ultrasound and you see that there's a spot on your lungs, they'll want to actually examine things further to find out what that actually means." The reason for the vast majority of the traffic stops — 97.19 per cent — involved "provincial and municipal offences," and no particular group was stopped in a disproportional manner, the report found. However in the 2,299 cases where police pulled motorists over for "suspicious activities" or "criminal offences, a disproportionate number involved racialized minorities. As far as outcomes, most stops ended in charges (44.65 per cent) or warnings (41.29 per cent) and race didn't seem to have an impact in whether the driver had either of those two outcomes. But Indigenous, black and Middle Eastern drivers — as well as other "racialized minorities" — were more likely to have a "no action" outcome. The project was part of a settlement in the case of Chad Aiken, who was 18 in 2005 when he was pulled over in Ottawa while driving his mother's Mercedes Benz. 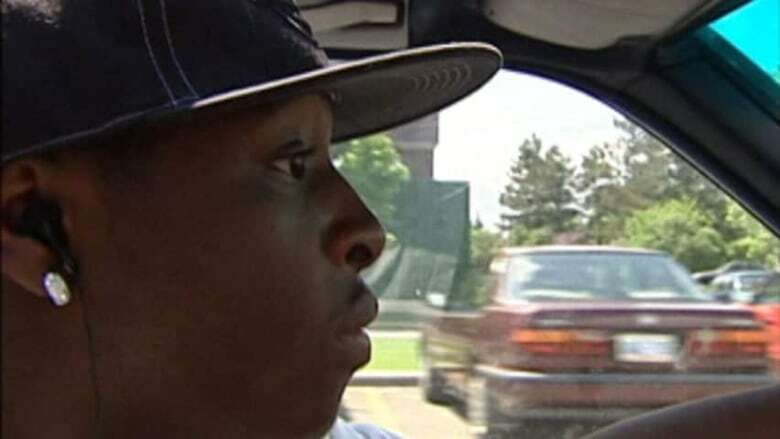 The project was part of a settlement in the case of Chad Aiken, a black man who was 18 when he was pulled over in Ottawa while driving his mother's Mercedes Benz in May 2005. Aiken said he was taunted and punched in the chest by an Ottawa officer in what he called a case of racial profiling. In June 2013, Ottawa officers started recording "their perception of driver race using the existing in-car computer system" during traffic stops, according to the police force. Foster said they recommend police determine the sources for the disproportionality noted in the report, and that race data collection continue and be made publicly available. Ottawa police Chief Charles Bordeleau says racial profiling has no place in society or policing. 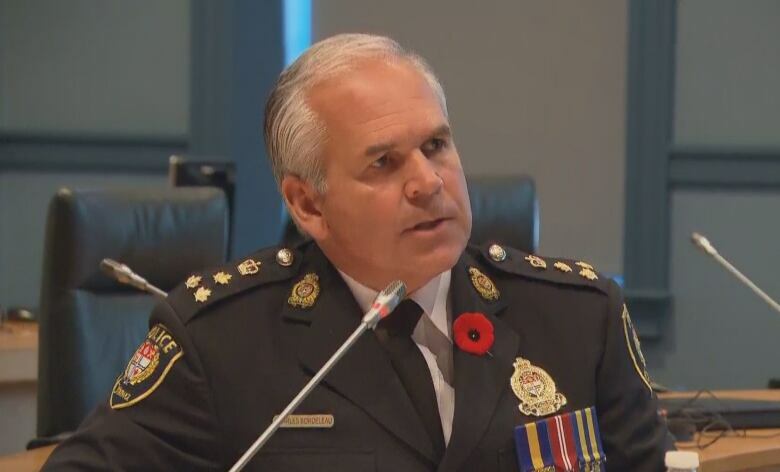 (CBC News)Ottawa police Chief Charles Bordeleau said racial profiling "can exist in society and it can exist in policing" but "has no place in either." He thanked the Ottawa police officers who he says took the collection of the data seriously and "showed their professionalism." He noted the report did not find evidence of racial profiling, but rather gave police the data to study whether there are any underlying reasons for the variations in stops between different racial groups. Ihsaan Gardee, the executive director of the National Council of Canadian Muslims, however, said the findings are "very concerning" and warrant further study. "I think it has posed more questions than it's actually answered," said Gardee. 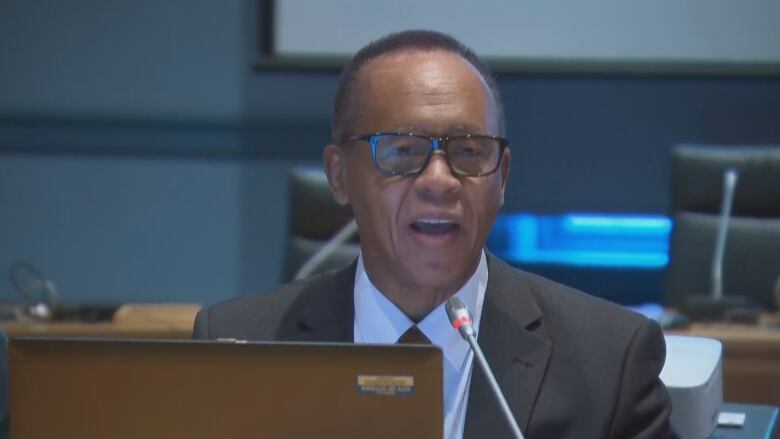 Ottawa Police Services Board chair Eli El-Chantiry said the board will carefully examine the findings and discuss them with Bordeleau to develop a multi-year plan in the next six months.